Twelve modes and 21 newly developed reverb algorithms deliver a huge range of textures, from complementary ambience to deep, immersive sonic atmospheres. And thanks to the RV-500s high-octane DSP, you can access a full-featured digital delay along with every reverb patch, and even run two reverb patches at once! 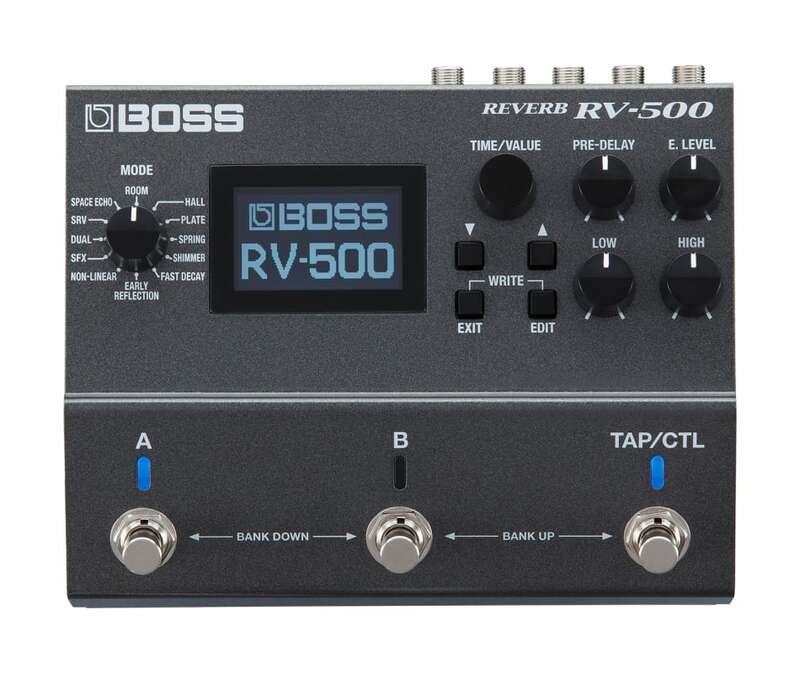 Adding in MIDI I/O, support for external footswitch/expression control, and USB for connection to the free RV-500 Editor/Librarian software, the RV-500 is simply the most advanced reverb pedal available, bar none.